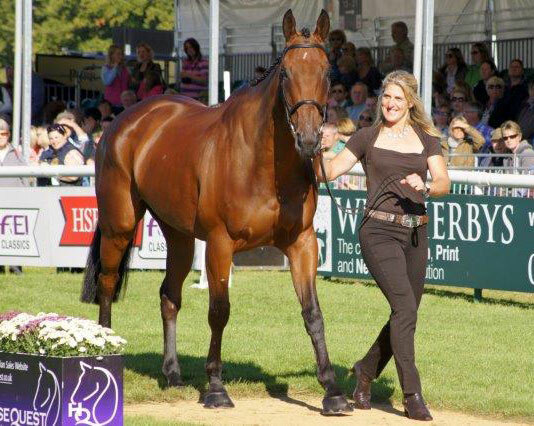 British Olympic eventer Tina Cook has lost the battle to save one of her leading horses, De Novo News, who was euthanised on Tuesday. De Novo News had contracted pleural pneumonia – shipping fever – on the return journey from the Strzegom Horse Trials in Poland in June. Cook had been on a rollercoaster rider with the horse, known as Herman at home, after he was given only a 10% chance of survival in August. But in September he had shown positive signs and the rider told Horse & Hound that they thought he would soon be home. But sadly, the infection spread to Herman’s joints and he was not able to be saved. De Novo News, who was 12, was by Last News and from Cook’s Burghley mare Douce De Longvaut. He was bred by Cook and she owned him along with Jim Chromiak. De Novo Newshad 642 British Eventing points. He won the advanced class at Burnham Market in April, and was a reserve for Britain’s European Championships team at Blair Castle. Kristina Cook and De Novo News.